As I sat in the weekly Weight Watchers meeting, it dawned on me that finding a new life style had so many similarities to those of us creating a new normal as we grieve the loss of our loved ones. Both grieving and losing weight are hard work, step by step procedures, not short-term nor long-term processes, but ones that last a lifetime. In the early days after losing my two eldest children, twenty-one-year old Denis and nineteen-year-old Peggy, in a car accident, discovering what helped me and what set me back was a full time job. I was always on the lookout for something that would ease my pain and guide me to enjoy life again. The process was similar to weight watchers: trying to lose pounds, always ready to find a new recipe, food or strategy that would diminish those strong yearnings. 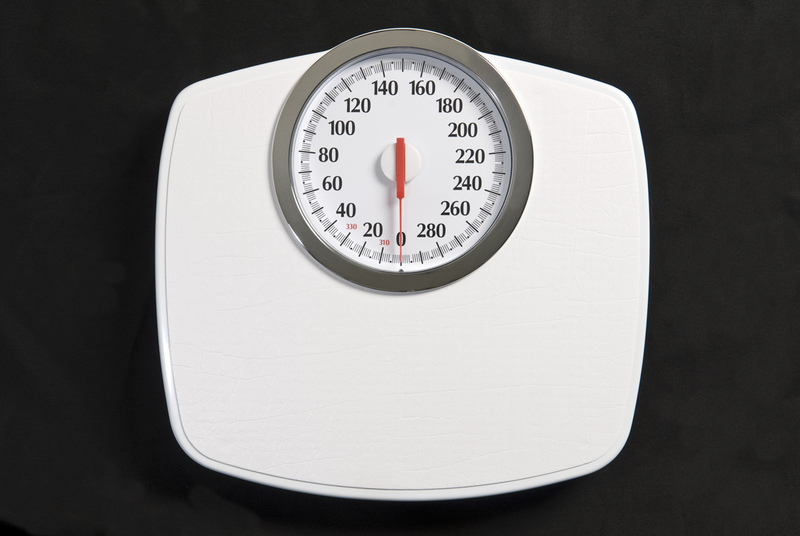 Whether we are shedding sadness or pounds, we have a lot in common. We grievers soon learn that we need to take care of ourselves first. It is not out of selfishness, but out of wisdom. We are no good to anyone else unless we can function ourselves. We search first for the tools that will help us get back on our feet. Then, we reach out to others, both family and friends, and share what we have learned. WEIGHT WATCHERS search for what works for them, whether it’s eating certain foods, cooking special recipes, being aware of labels, counting points, tracking what they eat, or weighing in each week. They have to put themselves first, taking care of their needs so that they can be in better shape to enjoy their families and friends and to be “poster persons” for healthier living. We need some role models, people who have walked before us, who have survived the loss of their loved ones and who can share with us what helped them and what was disastrous for them. We need to be educated about the grief process. We welcome cheerleaders who understand. Meeting others who have survived, or those making progress, gives us hope that we will survive our great losses, too. Joining The Compassionate Friends became my lifeline. Long time members are our guides. Weight Watchers need the same kind of support: people who can applaud their progress and share their own struggles, making them feel they can do it, too. Seeing folks come in weekly, looking better and better, gives them hope and strengthens their motivations. Surrounded by people on the same page provides them with education and the comfort of not feeling alone on their journeys to better health. Lifetime members also help to reinforce their determination. We miss our loved ones, their faces haunt us morning, noon and night. We struggle to find ways to fill that void—trying new interests, hobbies, books, prayers—whatever will lessen the pain. The bereaved concentrate on building a new normal, finding the combination that works best for them. Weight Watchers miss their favorite foods and the larger portions they once consumed. Now, they learn to measure and weigh, and enjoy in moderation, while adding some new foods and cooking ideas to propel them to their goals. When we are grieving, we need to find reasons to get up in the morning, to get off the couch, to answer the telephone, to go back to work, to care about the rest of the family. My children died four days apart. Peggy died instantly in the car accident and Denis, a strapping six-foot, 3-inch lifeguard, underwent immediate brain surgery, which we thought would save his life. But that prayer was not answered. He died the day after we buried Peggy, and we had a second funeral in one week. Later, when I was going through their wallets, throwing out their college I.D. cards, drivers licenses and credit cards that were not needed anymore, I stopped abruptly, thinking, I don’t want to erase these children. My super motivation became a desire to keep their memories alive. I wanted them to be proud of me (not embarrassed that I was hiding under the covers). I didn’t to waste all that love I have for them, and I wanted to find ways to invest that love in helping others. If I get up each day and say, “I’ll never see my children again,” my stomach does flip-flops and I feel devastated. However, if each morning I say, “I’m one day closer to seeing them,” my heart leaps for joy. Finding the right little phrases that “talk to our hearts” helps us have a good day. It’s the cassette you put in your head that makes the difference. Once we have figured out what our motivation is, we need a routine to follow. We each have to figure out what works for us. Grieving is trial and error as we discover the pieces that make our day manageable. We hang on to ones that work for us and quickly dump those that backfire. Weight Watchers juggle and struggle with each day, trying to find the right mix of foods and exercise to make a successful day. They, too, learn the things that work for them and those that are a complete bust as they design their new daily routines. They might even “step out of the box” and come up with some new creative ideas for their weight-loss campaign. We all grieve differently and we have to deal with a variety of circumstances that lead us to an array of choices. We learn there is no one way and no time schedule. Surviving could take six months or six years. The rule of thumb is to follow your heart and go at your own pace. Weight Watchers have choices, too. They follow their plans in their own ways. They choose the foods that work best for them. They figure out where to use their points. They choose the recipes that focus on their needs. They customize the process as they create their new normal, taking as long as it takes to reach goal. When my children died, I just wanted to know how other people stayed alive after such a loss. I ran to the library and read every book I could find dealing with grief—at that time, all six books! The stories gave me hope and offered ideas for me to try. Support was scarce then, but I wasn’t alone. 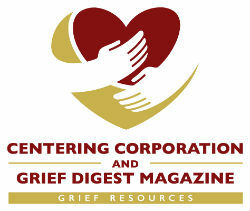 Today we are lucky enough to have magazines like Grief Digest to guide us. Every book I read back then suggested a support group called The Compassionate Friends, a national organization for bereaved parents. My husband, Joe, and I founded TCF of Rockville Centre, NY and still are chapter leaders today, twenty-three years later, welcoming sixty to seventy bereaved parents at each monthly meeting. Weight Watchers learn from others who have taken the weight-loss journey, tuning in to all the secrets and down-to-earth strategies that have worked for others. Luckily, today there are many books, magazines and newspaper articles devoted to this effort. Almost every story suggests the merits of the Weight Watchers organization, offering tried and true help for not only losing the weight, but more importantly, keeping it off. Being able to write about our ups and downs as we grieve gives us an opportunity to “vent” our feelings, unloading a lot of anger and sadness that could become overwhelming if unexpressed. Journaling provides a road map, guiding us to the things that ease our pain and steering us away from those that are detrimental. Weight Watchers track daily what they eat, which is also a guide to eating the right foods and finding the ones that sabotage their plans. Remembering to “bite it, write it,” to “snack it, track it” or “drink it, ink it,” is like a GPS for finding the way to goal. As we go step by step, we feel proud that we are making progress in our grief journeys, but out of the blue something can trigger a bad day. A song, a chance sighting of someone who looks like our loved one, a birthday party, graduation or wedding with our loved one missing can send us reeling in the wrong direction and making us feel we are back at step one. We just have to pick ourselves up and dust ourselves off and allow ourselves to start over the next day with renewed motivation. Weight Watchers, too, feel proud as they shed pounds, but they, too, can be blindsided by something that knocks them off the track. “It’s not what you are eating; but what’s eating you.” A disappointment, an argument, a tough day at work can lead them to the refrigerator or to their favorite restaurant for that comforting food. After losing their focus, they try to get back on program as fast as they can. Getting out to exercise, whether hitting the gym or just walking the dog, helps the bereaved to get out of the house and to commune with nature along the way. It gives us a chance to breathe differently as we vent those feelings of anxiety and frustration through walking, jogging, running, bicycling or using our favorite sports equipment. Weight Watchers add exercise to their routines and find it is the magic ingredient to fuel more energy and to shed more pounds. For some, it’s not fun do, but it definitely offers happy results. Weight Watchers come to terms with the fact that “this is a lifetime commitment.” It’s not something they do off and on, up and down like a yo-yo. They accept the fact, that like grievers, they are designing a new, healthy life style as they create and continually fine-tune their new normals. May we all reach our goals and become beacons of hope for others. Wife, mother, grandmother, educator, author and speaker, Elaine E. Stillwell, M.A., M.S., shares her gifts of hope and inspiration with the bereaved, simply telling what she has learned to cope and survive following the deaths of her two eldest children, twenty-one-year old Denis and nineteen-year old Peggy, in the same 1986 automobile accident. In addition to being Founder (1987) and Chapter Leader of The Compassionate Friends of Rockville Centre, Long Island, New York, (along with her husband Joe), she is also a Charter Member of Bereaved Parents/USA since 1995. From 1998-2010, she served as Bereavement Coordinator for the Diocese of Rockville Centre, NY, reaching out to the bereaved in 134 parishes, organizing and training the bereavement facilitators through special enrichment programs and chairing the annual bereavement conference.